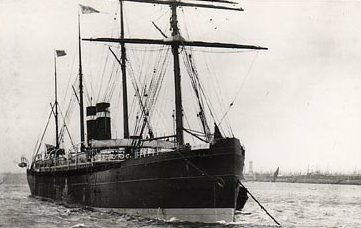 The Parisian was launched on November 4, 1880 and commenced her maiden voyage from Liverpool to Halifax and Boston on March 10, 1881. She was one of the largest vessels yet built; and the first to have "bilge keels" which are keels on the side of the ship designed to lessen the tendancy to roll. Hopefully, this feature helped provide a comfortable trip for the Newdick Family on the way to their new home in Canada in 1890. Draft (or Depth): 25.2 ft. 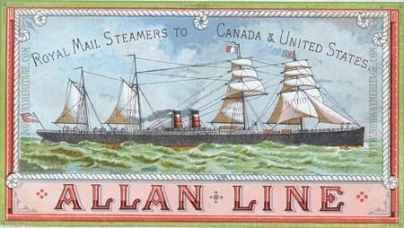 The Parisian departed Liverpool on October 23, 1890 with the Newdick Family aboard; bound for Londonderry and Montreal. She is reported to have "arrived at Quebec Nov. 1." 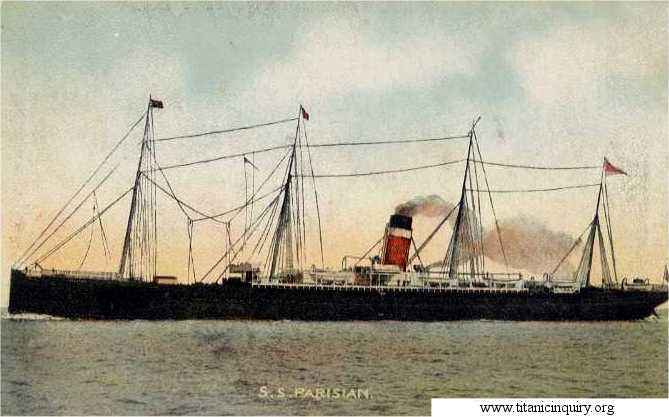 The Parisian was rebuilt in 1899 with a new engine and only one smoke stack as shown on the right. On April 15 & 16, 1912, the Parisian took part in the search for victims after the ill fated steamship Titanic struck an iceberg and sank. She arrived at Halifax on April 17, 1912 with the news that she had not found any survivors from the Titanic. 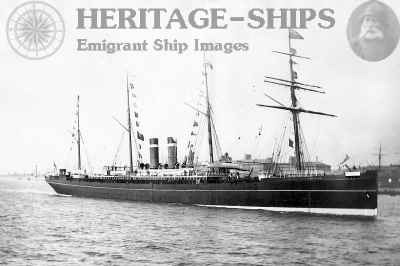 By 1914, she was out of service and was sold to Italian shipbreakers. Click to return to George Robert Newdick and Family.